If you would like to get accurate measurements of the wind speed and prevailing wind direction at your site then we can provide the HevCom Datalogger. This compact and attractive datalogger offers simple data logging capability at an affordable cost and will provide years of useful data for you to do with as you want. The HevCom Datalogger uses a microprocessor to read data from a windvane/anemometer and logs this data to a removable MicroSD card or to a computer. The data that is logged consists of the date, time, windspeed and wind direction. This data can then be used to create useful graphs that will give an indication of the suitability of a particular site for a wind turbine installation. 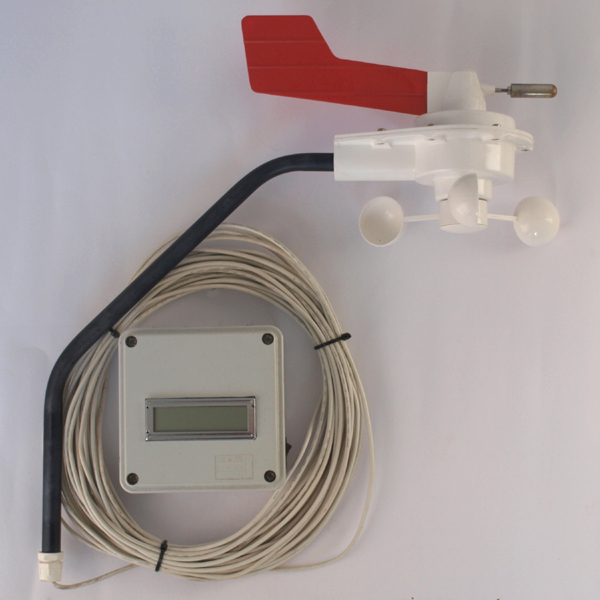 The HevCom Datalogger can be modified to be used with any existing wind turbine or one of the HevAir range of wind turbines. The RPM of the wind turbine and any other readings that the user would like to log can be catered for. The data logger can be customised to suit the users needs. There is also the option of having a LCD screen so that instantaneous readings can be displayed for the user to view in real time. Please contact us if you have any custom datalogging needs and we can work with you to come up with a solution.